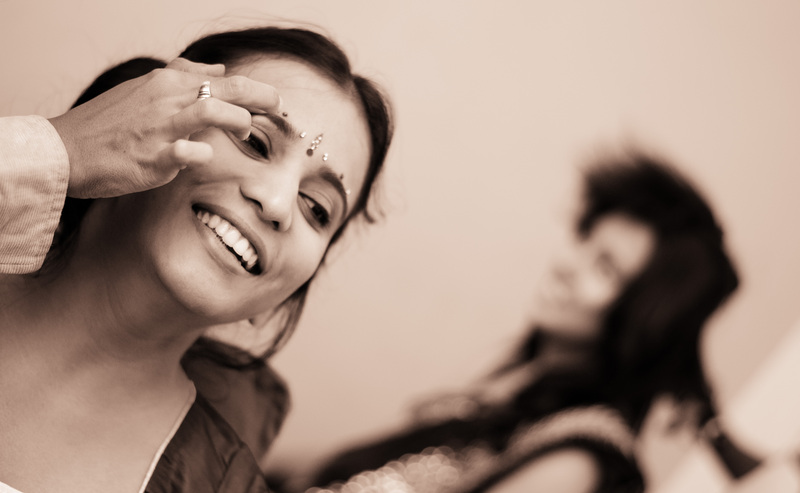 Even candid shots, such as for bridal make-up, are often not actually candid. Most are taken after the make-up is already complete; the touch of the make-up brush is only for effect. Compare this to some of my bridal make up shots and you will see they are not always "pretty", because the bride is still half-dressed, the skin is not yet perfect and so on. I have always wanted to be a documentary photographer. By "always" I mean since I was in my mid-20s and owned my first point-and-shoot canon reel camera. By the time I got into DSLR photography I realized that being photographer is not easy. Documentary photography, in particular, is unknown and unpaid. In 2012, my sister's wedding became my stepping stone into candid wedding photography, and since then it has paid me well. Yet, my heart was on documentary photography. Now four years later I am gradually moving ahead in my preferred field but I often lament the lack of networks, workshops, meets for documentary photographers (there's no lack of any of the above for wedding photographers). On that subject a well known wedding photographer told me, "After all, what is wedding photography but documentary?" But I don't agree, not in the Indian context anyway. The key aspect of documentary photography is authenticity and not prettiness. But people mostly want their wedding photographs to be pretty, even "candid" ones. 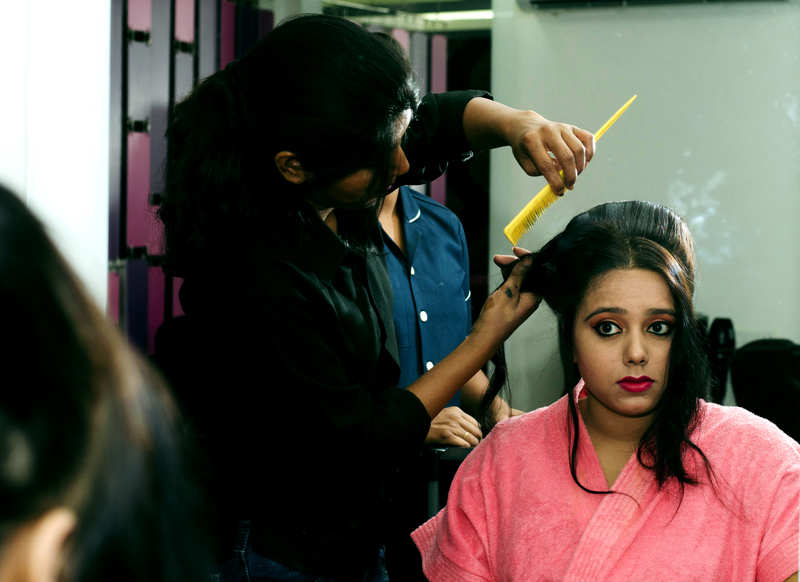 So here's what, even candid shots, such as for bridal make-up, are not actually candid. For example, the photos below, showcased as part of the respective photographers' portfolios, are certainly taken after the make-up was already complete; the touch of the brush is only for effect. Compare this to some of my bridal make up shots and you will see they are not always "pretty", because the bride is still half-dressed, the skin is not yet perfect and so on. Posing is the trend today. Beautiful shots are obtained by getting rid of "imperfections". What is lost is authenticity. Nobody is asking questions like what is the purpose of taking bridal make-up shots? After all, aren't we as candid photographers trying to capture the bride's feelings and emotions through the day as she prepares to change her life at the altar. My pictures were not "pretty" but they were real. They captured the essence of what the bride was feeling in those moments. 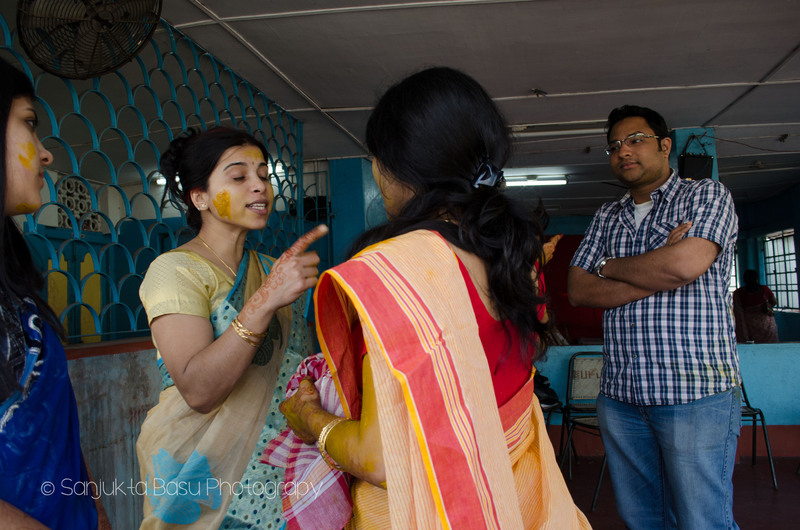 One of the brides I shot was a great talker and also a perfectionist to the core. Throughout the makeup session she either kept talking or attending phone calls. It was difficult to capture her in repose -- in all frames either her lips were curled or her eyes were popped or eyebrows were twisted. Now these pictures were not "pretty" but they were real. They captured the essence of what she was feeling in those moments. The picture below caught her worry (perfectionist that she was) that her hair wouldn't be just so. These images are not easy to capture. I work hard to hop around the make-up artists, positioning my camera, finding my frame, all the while trying my best to make myself invisible. But several photographers have told me that they conveniently wait till the end of the make-up session before taking their "candid shots". What's the point then? If that's what you do, then why take make-up shots at all? I Googled "wedding documentary photographers" and through the first two pages I only found international names; Sephi Bergerson, who works in India, was the only exception. 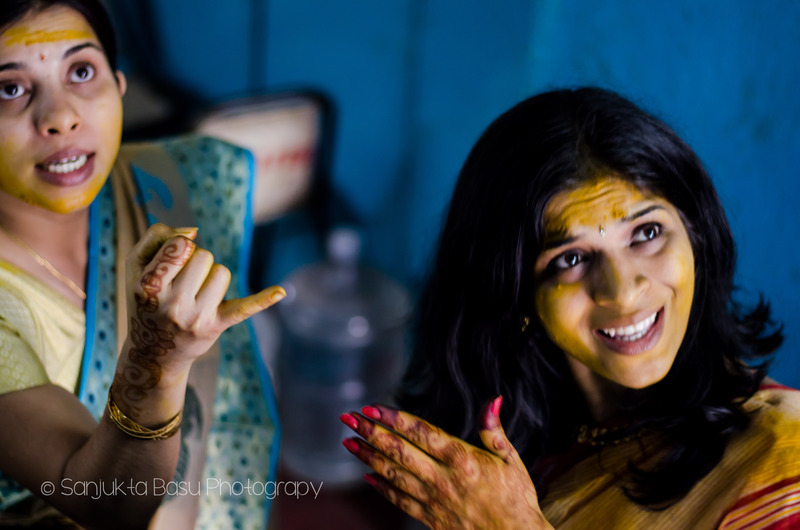 It seems there is neither a market for authentic documentary-style wedding photography in India and nor are there many photographers who position themselves as such. For documentary photography you have to become invisible and yet always be there. I have done two pure documentary-style wedding projects and I am immensely proud of my work in both. In both cases I became a part of the family. For two or three days, I and my camera witnessed and captured every big and small event, emotions, feelings, humour etc. This is not possible if you reach the venue at a particular time with an army of photographers and do an event-based coverage keeping an eye on the clock. For documentary photography you have to become invisible and yet always be there. Weddings are happy occasions, of course, but they are also the time of immense emotional ups and downs, crises, bickering and outbursts over long pent-up issues. When that sort of scene happens, you have to be sensitive to the people involved. While you cannot take the camera in their faces, these are also moments which must be captured because these are exactly the frames which would make the wedding album memorable. I was hired by "S" to cover her younger sister's wedding. When I met them in Kolkata I realized that the younger sister was just like a daughter to S. The two sisters had lost their mother and brother, and their father was present but in poor health. The entire responsibility of running the show was on S's shoulders. The two sisters were often busy attending to logistical issues and the scene weren't always lovely. Sometimes they fought. And at other times their eyes teared up as they perhaps remembered their mother and brother. These are frames for a lifetime. I don't mean to be disrespectful or critical of my fellow photographers but I do not see many such frames in their portfolios. Well, not at least among the photos they display on their websites or Facebook pages. Perhaps they are available on the wedding album in which case I am just blabbering, ignore me. But if I am right, maybe we should put the focus on authentic documentary-style wedding photography. I know I am going to. And I hope the market catches up.